Caracas (AFP) - Venezuela's opposition-controlled but toothless National Assembly declared Nicolas Maduro's presidency illegitimate on Saturday, calling on the military to support efforts to "restore democracy." The United States, which has sanctioned Venezuelan officials and entities, hailed the legislature as "the only legitimate and last remaining democratically elected institution" in the country. 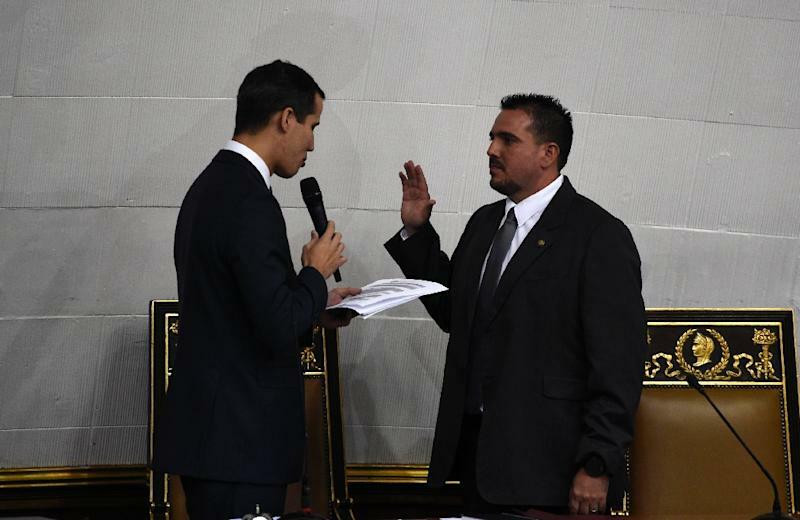 "We reaffirm the illegitimacy of Nicolas Maduro," the assembly's new president Juan Guaido said after being sworn in at the start of a new legislative session. "As of January 10, he will be usurping the presidency and consequently this National Assembly is the only legitimate representative of the people." Maduro, who has presided over a virtual collapse of the economy in the once-rich OPEC member state, is set to be sworn in on Thursday for a second six-year term after elections widely condemned by the international community. The ballot, on May 20, was boycotted by most of the opposition. On Friday, foreign ministers from 12 Latin American countries and Canada announced in Lima that their governments would not recognize Maduro as president if he attempts to remain in office and urged him to turn over power to the National Assembly. The Maduro government accused the so-called Lima Group of "encouraging a coup d'etat" on instructions from Washington. Mexico, which is a member of the group, withheld its support for the statement. 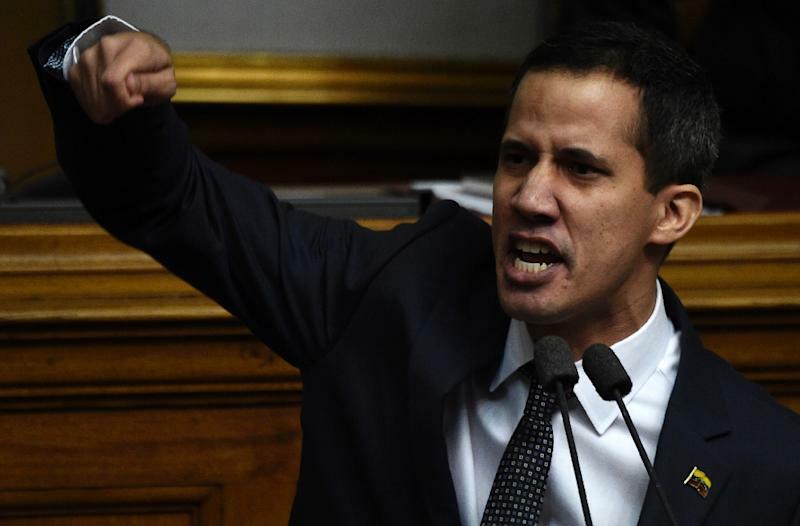 Guaido, in a speech attended by lawmakers and members of the diplomatic corps, declared that the military's chain of command had been "broken or usurped," but called on the armed forces to support efforts "to restore democracy." He committed to "generate conditions for a government of transition and to call free elections." The US State Department said it "celebrates" the assembly officials' swearing-in, a ceremony attended by charge d'affaires James Story. "The National Assembly should inspire hope in the Venezuelan people for a peaceful, prosperous, and democratic future, even as the corrupt and authoritarian Maduro regime and its allies seek to deny Venezuelans that right," State Department deputy spokesman Robert Palladino said in a statement. The National Assembly has been largely sidelined by a separate regime-created Constituent Assembly, which called the elections at a time when most major opposition figures were in jail or banned from running. Washington, which called the vote a "sham," refused along with the European Union and the Lima Group countries to recognize the results. "Maduro is a usurper, an invader and should be removed," said Delsa Solorzano, an opposition deputy. But she denied that the call for armed forces' support was "to carry out a coup d'etat." The Supreme Court, which has consistently sided with Maduro, rendered the National Assembly powerless after the opposition gained the majority in 2016. "Nothing will come out of the assembly that can have the least impact," said Peter Hakim, of the Inter-American Dialogue, saying it has been "stripped of power and authority." "Our hands are tied," Solorzano acknowledged. A previous attempt in January 2017 by opposition lawmakers to declare Maduro to have abandoned his responsibilities went nowhere. 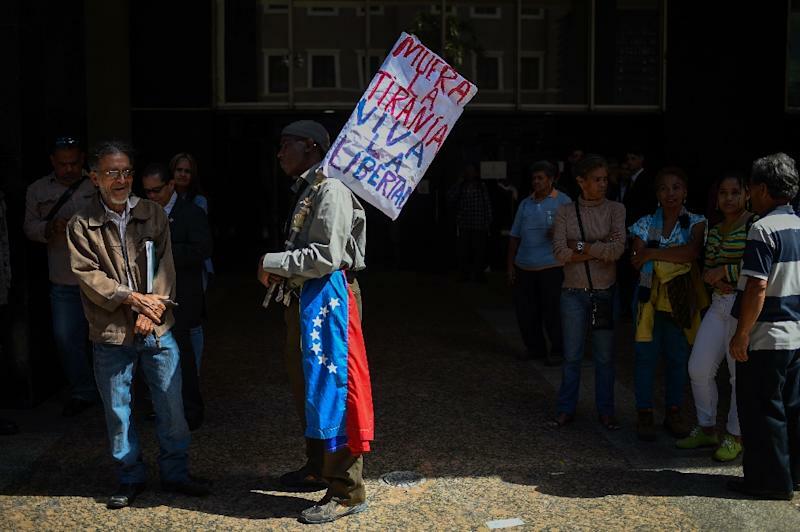 More radical opposition leaders such as Antonio Ledezma or Maria Corina Machado have called on the legislature to immediately install a "government of transition" led by the president of the National Assembly. Failure to do so could deepen divisions within an already fractured opposition. "If there is something worse than doing nothing, it is doing that which weakens and makes you lose respect," said political analyst Luis Salamanca. Maduro is deeply unpopular, seemingly unwilling or incapable of halting a slide into hyperinflation and economic paralysis that has set off mass migrations of his compatriots. He has shrugged off international and opposition criticism, brushing aside accusations that he is assuming dictatorial powers. "They accuse me of being a dictator to justify anything imaginable," he said, insisting that his reelection was "democratic" and that his opponents are in disarray, not because of him, but because of their "dependence" on the United States.